sophia_leonie, After burning out I found my voice, happiness and a love for coffee. The cryptocurrency market caught the limelight last year when bitcoin and other digital coins had a dramatic surge in value. This resulted in a massive influx of investors looking to cash in on the hype. 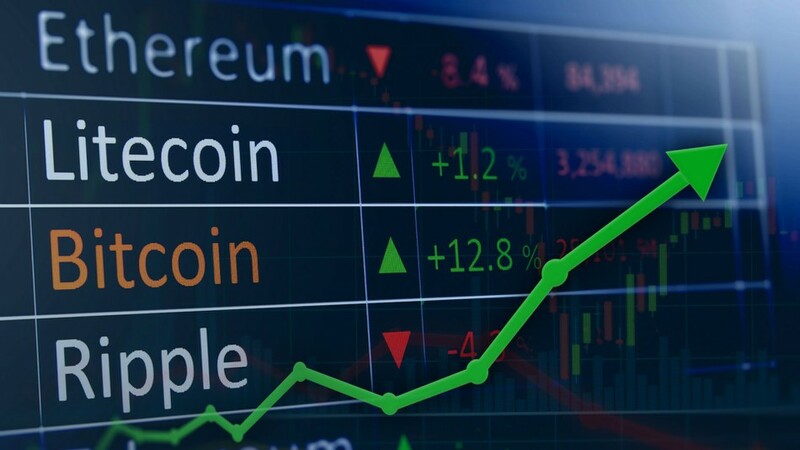 This in turn led to an extraordinary spike in the crypto market value, reaching an all-time high of $835 billion on January 7th, 2018, according to Coinmarketcap data. Since that time, reality has to a great extent checked in as what once seemed like an infinite amount of money to be made has turned into one of the most volatile opportunities of all time. The massive nosedive in the values of digital currencies across the charts has led many to concerns that the crypto mania might after all be a bubble that could implode at any time. As at press time, the total market capitalization of digital currencies is $266 billion. While this might sound shocking, investors who got in on the action early these massive losses do not apply as the current prices are still way above the run-up values. However, opinions still differ as to what these trends signify, whether it is preemptive of a total market downfall or simply a part of the evolutionary process. Investors into the space are torn between cutting their losses and moving to the next hype and holding on till the market recovers. It is impossible to accurately predict the future of cryptocurrencies. But we can get an idea of where it is heading from an analysis of both where it has come from as well as the milestones it has to overcome along the way. Analysts are yet to agree on the factors that led to the unprecedented market growth that virtual currencies experienced last year. But no one has any doubt about the role that media hype played in the process. The gradual rise in the value of a handful of top cryptocurrencies captured the attention of media outlets. Bitcoin which started 2017 valued at approximately $800 went on to be one of the highest performing investments of all time as it reached a peak of $19,500 on 18th December according to CoinBud. This created interest around the topic and consumers became curious, asking what exactly cryptocurrency was and how they could ride its wave of success. They did not need a lot of convincing to join the rollercoaster and soon there was a massive influx of not-so-knowledgeable investors fuelling the upward surge. Another factor that seems to have had a direct influence on the growth of the sector was the introduction of bitcoin futures trading. Many Wall Street investors considered this a legitimization of bitcoin and the crypto industry as it signaled their entry into the financial mainstream. The market reacted in tandem with these views, reacting with the trade of more than $75 million worth of futures contracts on the very first day of business. The excitement was relatively short-lived because as soon as prices began to hit record highs, many investors started a profit-taking wave that resulted in abrupt value drops. Casual investors seem to have taken this as a sign that the bubble was about to implode and the majority of them were soon looking for a way out. In a nutshell, this captures the rise and fall of the crypto market bringing us to the present day. Price fluctuations have become the order of the day and anxiety is at its all-time high. But there is solid ground for the belief that cryptocurrencies are far from nearing their end. The technology that underpins this market, blockchain, has found myriad applications beyond the financial space. This technology is built upon a distributed ledger system that allows for the management of complex systems without reliance on a central authority figure. It provides grounds for the creation of self-sustaining networks that streamline operations in numerous industries. This implies that even if individual digital coins were to suffer collapse, blockchain technology is here to stay. This is not to say that the road to success for the crypto market is paved in gold. Far from that, the global scale of the technology poses massive problems that the sector has to surmount if ever it is to succeed in remaining relevant. The reactions of regulatory bodies concerning the industry have ranged from disinterest to aggression, forcing investors to constantly monitor developments so as to determine their moves. Countries like China and South Korea have implemented crackdowns that have forced some traders to move their operations to other countries. With so many other countries yet to decide the fate of this emerging market, the challenges can only be expected to escalate. Another major challenge has to do with the market risks surrounding this industry. As is the case with any other investment, digital currencies are subject to fluctuations in process. But what makes them all the more vulnerable to price swings is the fact that the sector has attracted a huge number of amateur investors. This has led to a high level of speculation where the slightest hint of negative media attention is met with a massive sell-off. A trend that started with just a single coin in 2009 has now grown to 1,565 different digital currencies according to Coinmarketcap as at the time of press. It is logical to expect that not every one of these coins will stand the test of time and that a good number of them might gradually fizzle out. But while a lot of cryptocurrency news has its focus on daily market conditions and price predictions, it would also be beneficial to consider what the technology is accomplishing as well as its future potential. A full realization of the capacity of blockchain technology to revolutionize existing systems might just keep the market afloat and guide it to success.